A Moscow court has issued arrest warrants for three high-ranking Investigative Committee officials who are suspected of corruption. The officials were detained in connection with a bribery case, in which they allegedly patronized a criminal lord. On Tuesday, Russia's Federal Security Service (FSB) requested the arrests of the first deputy chief of Moscow's Investigative Committee, Denis Nikandrov, the head of internal affairs of Russia's Investigative Committee, Mikhail Maksimenko, along with Maksimenko’s deputy Aleksandr Lamonov, the court's press service said. A judge later issued arrest warrants for all of them until September 15, with one of the defendant’s lawyers announcing that a complaint in connection with the arrest will be filed. The officials are suspected of being involved in a case of large-scale bribery and face from between eight to 15 years in prison if found guilty, as well as a fine of up to 70 times the amount of the bribe. There have been reports that the criminal network which officials allegedly patronized wanted to offer them some $1 million, RIA Novosti reported citing a lawyer involved in the case. In all, seven high-ranking officers of Moscow's Investigative Committee are now being checked for having a potential link to the case, according to Interfax. The FSB has been conducting searches both in the suspects' offices and at their homes, TASS said, citing an FSB spokesperson. The operation has been launched in agreement with the head of Russia's Investigative Committee, the FSB said, adding that President Putin has also been informed about the criminal case. According to TASS sources, the detained suspects received bribes from mafia bosses. 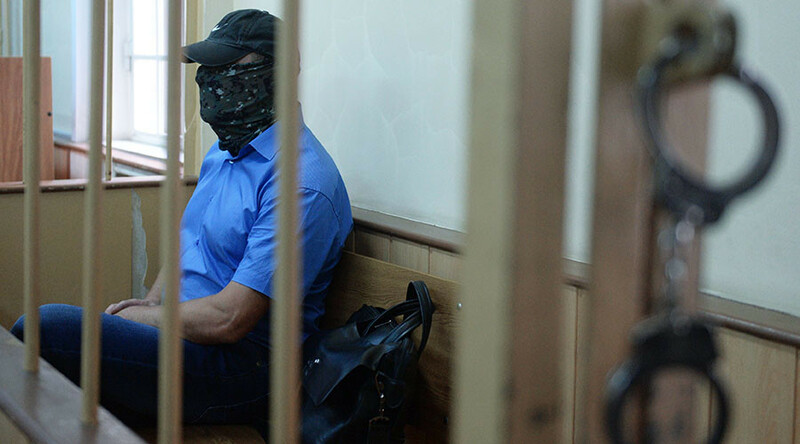 Criminal lord Zakhary Kalashov known as Shakro Molodoy, who has recently been detained on charges of blackmail, might be involved in the detained officials' cases, RIA Novosti said. There have been reports Nikandrov might have been detained in connection with the case of one of the criminal's gang members, who nearly escaped arrest after an investigator had "forgotten" to prolong it. Kalashov and his gang are said to be related to a much-publicized shoot-out near an area home to high-end restaurants in central Moscow in December 2015, which left two people dead and several more injured. The case against the Investigative Committee officials is related to the killings near the restaurant and "money is not involved," Lamonov's lawyer Olga Lukmanova told RIA Novosti. "This case [is related to] the FSB's wrangle with the Investigative Committee," she claimed.